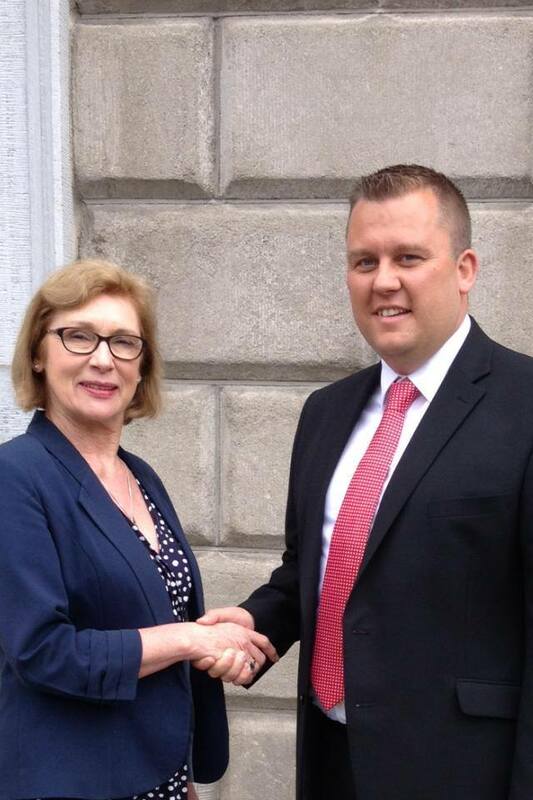 Labour Party Candidate for East Wicklow Paul O’Brien met with Minister Jan O’Sullivan at Leinster House to discuss the issue of social housing in East Wicklow. O’Brien stated that “Minister O’Sullivan has reassured him that she will work closely with him to address the need for social housing in Wicklow if he is elected to Wicklow County Council on Friday”. The minister also informed Paul that she hopes to emulate our own former Wicklow Minister Liam Kavanagh in the building of new social housing.